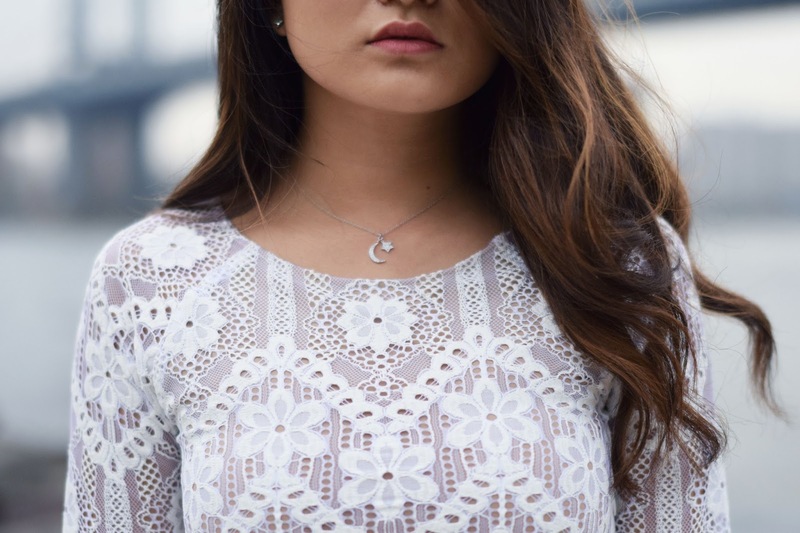 Kind of in love with white for the summer and even more in love with the fact that it's all in lace. Paired it with some strappy heels also in white, and the cutest moon/star necklace combo, and I was totally ready to go on date night! so sensuous and pretty. Love this outfit. prefect outfit for date night.